Is It True Vegetarians Live Longer? According to a new study published in JAMA Internal Medicine, vegetarians live longer lives than meat eaters. But is it really because they don’t eat meat? Numerous studies have shown links between a vegetarian diet and a healthier, longer life. However, the correlations have been weak and there has been much skepticism about the claims. Researchers from Loma Linda University in California dug a little deeper to see if this correlation was in fact accurate. Their study followed the dietary patterns of nearly 75,000 Seventh-day Adventists, both men and women, for a period of about 6 years in an attempt to find out if a vegetarian diet truly held benefits over a diet that includes meat. During that time period, 2,570 of the people in the study died. 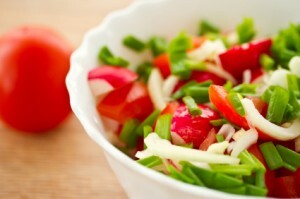 They discovered that vegetarians have a 12% reduced risk of death compared to meat-eaters. Vegans, those who consume absolutely NO animal products (including dairy), have a 15% reduced risk of death compared to non-vegetarians. Is meat really that bad for you? Possibly, but not definitely. Other factors most likely affect the outcome of the study, as well. During the study, researchers found that vegetarians were more likely to be married, highly educated, older, and thinner. They also exercised more and drank alcohol and smoked less. Some of these factors have huge effects on your mortality rate, and probably contributed to the results. So It’s True? Vegetarians Live Longer? Should you switch to a vegetarian diet? Probably. It’s better for your health, but a little meat every now and then won’t kill you. Your best bet is to avoid red meat, which has a well documented link to heart disease.